A MURDER IN MANSFIELD, a documentary film produced by current MFA in Film student John Morrissey, had its European premier at IDFA this past November (2017). Directed by Barbara Kopple, A MURDER IN MANSFIELD also premiered in the U.S. at DOC NYC. Now 38, Collier Boyle returns to his home town of Mansfield, Ohio, where as a 12-year-old boy, he was a prosecution witness in the trial of his father John. The elder Boyle was charged with the murder of Collier’s mother Noreen on New Year’s Eve 1989. After the trial, John was found guilty and Collier lost touch with every member of his family except his manipulative, narcissistic father, who still exerts power over him. 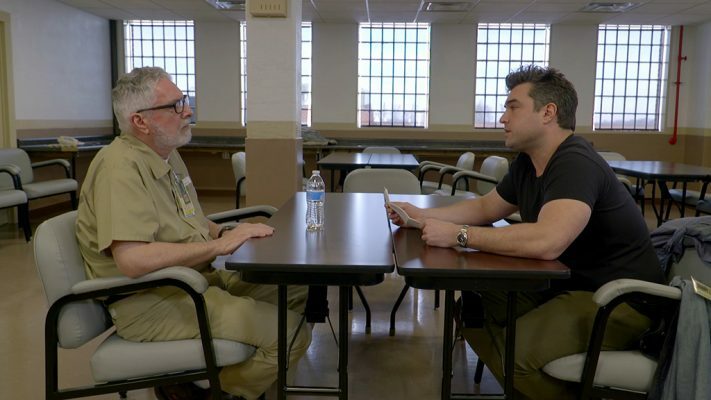 To come to terms with his past, Collier revisits the places and people that were significant at the time: his childhood home, his high school, the court, the head of the investigation, his adoptive parents and his mother’s best friend, culminating in a confrontation with his father in prison. Collier’s memories come to life in the video reports of the trial in 1990, family photos, the heartrending letters he wrote to his father as a teenager, and shots from a drone flying above the snow-covered city. A Murder in Mansfield is a sensitive portrait of a brave man struggling to free himself from the burden of the past, revealing the far-reaching effects of a violent crime. To read more about the film check out these great reviews by Variety and The Hollywood Reporter. John Morrissey also spent time this last November (9-16, 2017) mentoring 12 filmmakers who were competing for grant money at the Malatya Film Festival Platform in Turkey to a great success.